The definition of cash flow management for business can be summarized as the process of monitoring, analyzing, and optimizing the net amount of cash receipts minus cash expenses. Net cash flow is an important measure of financial health for any business. 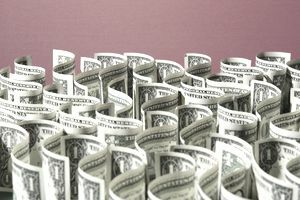 According to a study performed by Jessie Hagen of U.S. Bank, 82% of businesses fail due to poor management of cash flow. If your business constantly spends more than it earns you have a cash flow problem. For small businesses, the most important aspect of cash flow management is avoiding extended cash shortages, caused by having too great a gap between cash inflows and outflows. You won't be able to stay in business if you can't pay your bills for any extended length of time! Real estate development has always been a highly cyclical industry and developers are often prone to cash flow problems. Property development requires significant initial capital investment, as well as ongoing cash outflows for operations. Unless some or all of the development can be sold before construction, developers often run into cash flow problems before the development begins to sell off, particularly if the property market happens to soften during construction. Many property developers have been forced into bankruptcy due to negative cash flow for extended periods of time. Any business that is undergoing rapid expansion can run into cash flow problems. Business expansion generally involves increasing labor costs as new employees are hired, increased rent for additional space, higher advertising costs, and more capital investment for new facilities, equipment, etc. Having to maintain increased levels of inventory can also quickly eat into excess cash. As a business owner, you need to perform a cash flow analysis on a regular basis and use cash flow forecasting so you can take the steps necessary to head off cash flow problems. Many software accounting programs have built-in reporting features that make cash flow analysis easy. This is the first step in cash flow management. The second step of cash flow management is to develop and use strategies that will maintain an adequate cash flow for your business. One of the most useful strategies for small businesses is to shorten your cash flow conversion period so that your business can bring in money faster. If your business is expanding, you may need one or more injections of cash during the growth phase. This can take the form of a business loan from a financial institution known as debt financing, or equity financing from investors. Debt financing is common for assets such as equipment, buildings, land, or machinery where the assets to be purchased are used as security or collateral for the loan. The main advantage to debt financing over equity financing is the business owner(s) do not have to give up partial ownership of the business and so retain full control. For short-term cash flow shortages, many small business owners make use of credit cards or lines of credit. Equity financing involves raising money from angel investors or venture capitalists. Equity financing is much less risky in that money invested do not have to be repaid if the business does not succeed; however, in exchange for financing the investor(s) become part owners and as such take a share of the profits and have a say in how the business is run. Whatever form of financing is required it is vital to have an updated business plan in place to present to financial institutions or investors. The business plan should demonstrate the need (and effect) of financing for the future of the business. Are These 3 Cash Flow Problems Killing Your Small Business?